Why risk losing precious eyesight when wearing safety glasses orprotective gogglescan keep your eyes safe for a lifetime of good vision. 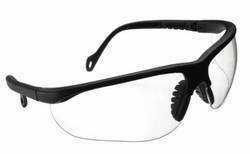 We have Honeywell & Karam brand safety eye-wears in our product range. The lens material is polycarbonate. Lens are available with variety of shades, suitable for different applications. All the eye wears are EN188 & other corresponding EN approved. Honeywell: 1015360 – A700 Clear Hard Coat with Anti Fog Coating. 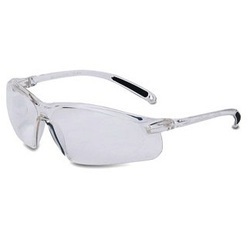 Transparent single clear, Anti-scratch, Anti Fog lens spectacles with increased lower side protection. Sport temples with soft temple tip pads for a comfortable fit. Secure wrap around lens design. Honeywell: 1015369 - A800 Clear Lens - Hard Coat with Anti-Fog Coating. Unique temples with soft padded inserts down the length of the temple. Extra “flex” built into the temple for tension control. Honeywell XV100 Series delivers practical protection at a very affordable price. 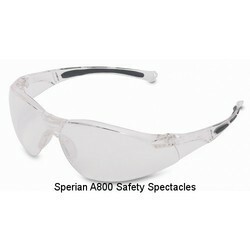 Its simple styling is perfect for your basic safety eyewear needs. The single lens design offers excellent peripheral protection along with uncompromising Optical clarity, while the slender, gently curved temples ensure a comfortable fit. Whether as a visitor spectacle or for all-day wear, the Honeywell - XV100 offers everything you need and nothing you don’t. • Made with polycarbonate, ES001, offers lighter, exceptional impact & splash protection with excellent vision. • An ultra light weight model and equipped with a flexible frame which virtually ensures a close snug fit on both large and small faces. 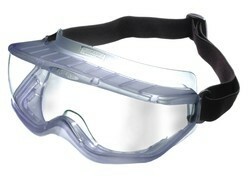 We deal in a wide range of Karam ES005 Safety Goggle. 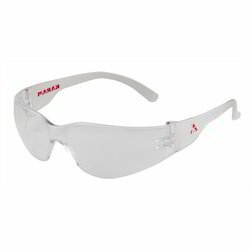 Made with nylon frame and polycarbonate lens which offers a impact & splash protection. Also available with smoke grey lens. 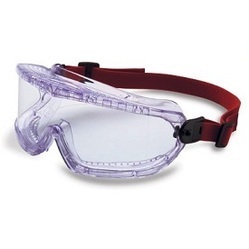 Can be used with most prescription glasses and /or most respirator half masks. Indirect ventilation and anti-splash system. Pivoting headband clips to adjust around hard hats or hearing protection. Fits a wide variety of workers. Sleek wrap-around style with a 180 degree field of vision for distortion free peripheral vision. · Passes impact grade B for medium energy and also meets certification for molten metal. · Scratch & Impact resistant polycarbonate lens.